This is a rectangular Nature’s Remedy porcelain sign. This particular Nature’s Remedy sign is predominantly black and white with a green border. 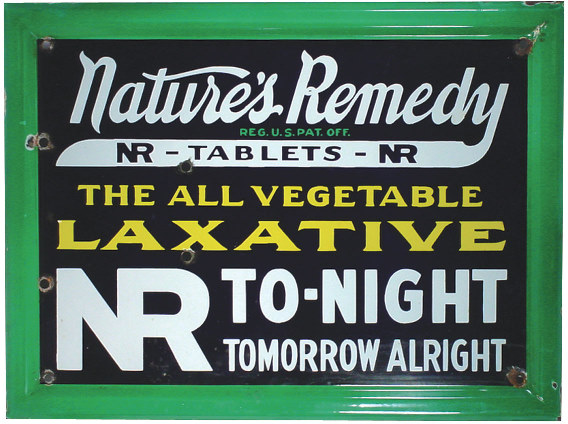 It reads, “Nature’s Remedy, NR – Tablets – NR, The All Vegetable Laxative, NR To-Night Tomorrow Alright”.